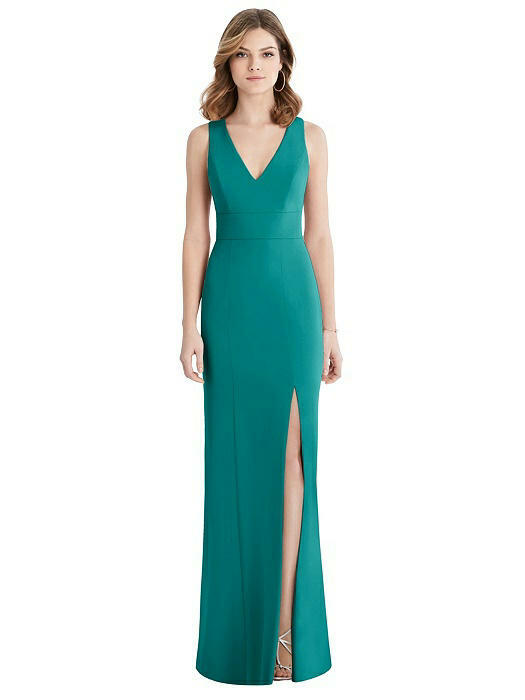 Bring your best game to an evening event with this full-length V-neck sleeveless dress. 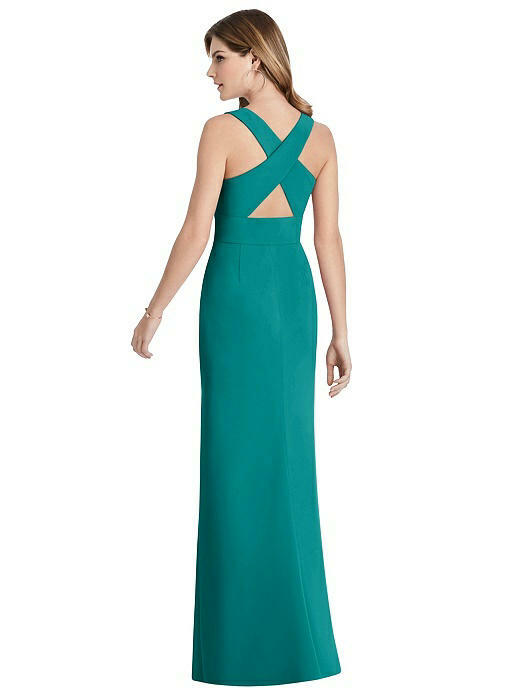 crisscross back detailing adds an intriguing touch and complements an inset midriff at the natural waistline. 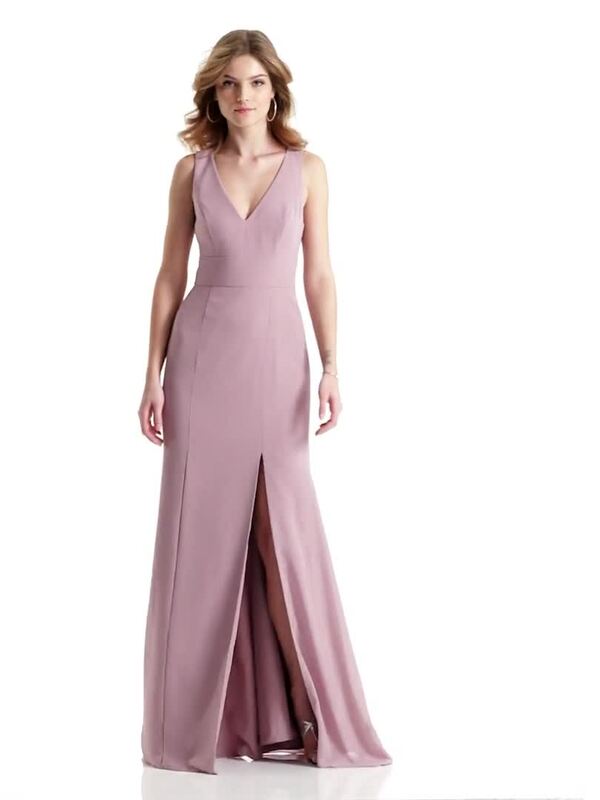 Made from gorgeous matte chiffon, this dress features a trumpet skirt with a side front slit.